On February 27, 2019, sponsored by ICJW-GE, Ruth Dearnley, OBE, CEO of the NGO STOP THE TRAFFIK UK, gave an amazing (three minutes’ !) 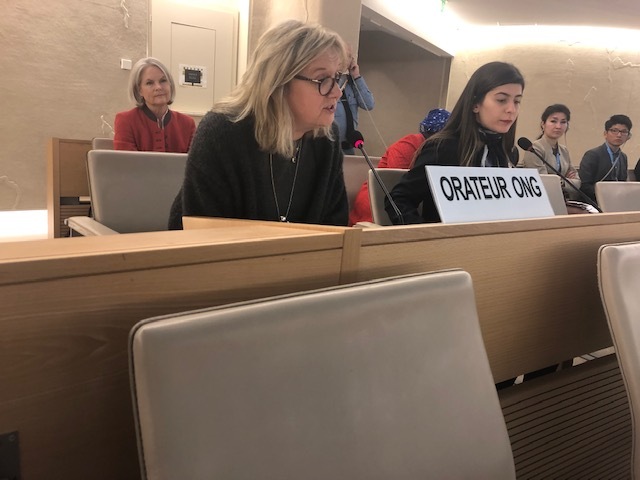 speech, being one of the four civil society speakers at the End of the High Level Segment – the three days formal opening session – of the 40th session of the Human Rights Council. The same afternoon, at 6pm., a reception was held at the 8th floor of the Palais des Nations, at the prestigious “Delegates Restaurant”. The event was organized by the GENEVA NGO Committee on Human Rights, in honor of the four civil society speakers from around the world – after their address to the 40th session of the Human Rights Council – allowing for networking with members of various organizations present, in order to share their expertise and their vision. 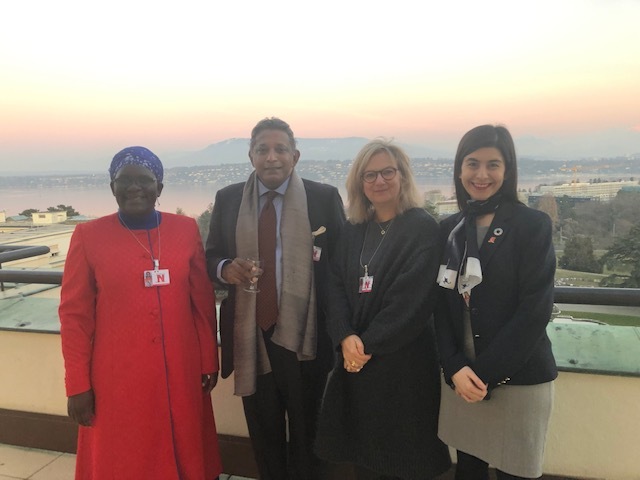 Four civil society speakers from HRC40 at the ICJW Reception on the 8th floor Terrace of the Palais des Nations. Ms Nancy Okoth, from Kenya, who spoke about violence against women and girls; Dr. Paikiasothy Saravanamuttu, from Sri Lanka, who spoke about Protection for Human Rights Defenders; Ms Ruth Dearnley OBE, from the UK, who spoke about Human Traffiking; and Ms Altinçelep Buket from Turkey, who spoke about Youth Democracy and the Rule of Law. 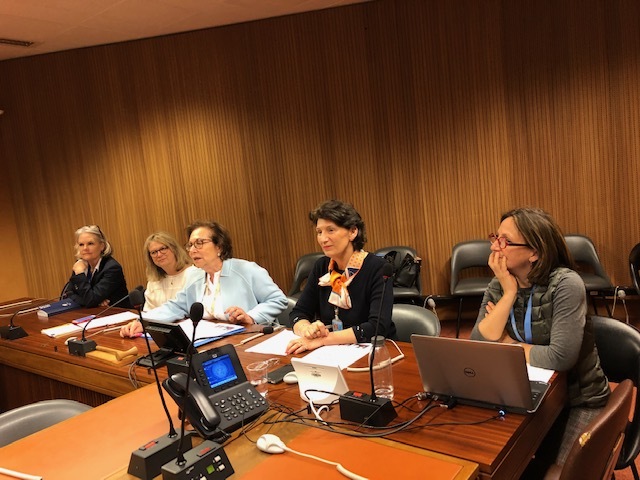 On the next day, on February 28, Ruth Dearnley held a well-attended conference (as a side event) at the Palais des Nations, Room XXVII on the topic of trafficking. 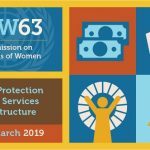 The event was set up and organized by ICJW-GE and co-sponsored by Graduate Women International (GWI) and the NGO Working Group on Human Rights Education and Learning (HREL). Leonie de Piccioto, ICJW-GE UN representative, has been an excellent moderator! With an excellent Powerpoint, Ruth Dearnley started her presentation by saying that only since 2005 has trafficking become a recognized reality and that the NGO STOP THE TRAFFIK was founded at that time, on the premises of prevention. The organization aimed to correlate the complexity of the issue with the simplicity of a solution. She added that trafficking is a business product, a seriously organized global industry! In order to combat this organized crime effectively, a systemic approach needs to be set up. 1. We need to network globally and be active locally. 2. We must mobilize different actors (banks, law enforcement officers, teachers, journalists, general citizens) to collaborate within their communities. 3. We must change the environment of trafficking: increase the risks for traffickers and lower their profits; making this business less attractive. 4. Lack of data is a real problem. Traffickers share high-technology info. We must equally do the same: COLLECT DATA – ANALYSE- and SHARE! And learn to IDENTIFY VULNERABLE PEOPLE. – the information is analyzed, with the help of computers! – Finally, it is shared, and can be used for intervention. The aim is increased awareness, that everyone be empowered to change the environment of trafficking by signaling what they observe and why not….to change the world. 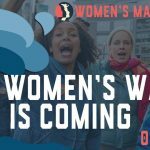 We are acting, not preventing! We try to measure what didn’t happen. We have to do things differently! The future does not look like the past!